Information about Music: Is the Clarinet a Good Instrument for You? The clarinet is a popular woodwind instrument. Many people play this instrument in bands, orchestras, solo, and in small groups. If you’re trying to choose an instrument, you might wonder whether the clarinet is for you. There are pros and cons to choosing to play the clarinet. Before you buy your first clarinet, it’s a good idea to figure out whether this is the instrument you want to invest your time and money in. What Kind of Instrument Do You Want to Play? There are several different kinds of instruments, and different reasons why you might want to pick the clarinet or make a different choice. Are you going to play in the school band or in an orchestra? A clarinet is a good choice. Do you want to play in a rock band? While there are popular clarinet players, you’re probably going to want to go with something like the keyboard, drums, or electric guitar, at least as a primary instrument. If you want to sing while you play an instrument, you’re going to have to pick a different instrument. The piano is a popular instrument if you’re playing in church, but I do play my clarinet in church, alongside the piano and the organ. Do You Like the Clarinet? If you decide that the clarinet is the right type of instrument for you, you’ll probably want to test it out first. Most people are able to play the clarinet with enough practice, but it’s still a good idea to try it. Many students like to rent instruments, but I don’t recommend renting to own one: it’s a much more expensive way to acquire an instrument than buying one outright. If you don’t know anybody that has a clarinet that you can try out, feel free to rent a clarinet for a month so you can check it out before you buy one. You can find inexpensive instruments online, but keep in mind that the cheapest instruments don’t always have the best sound quality, and you may want to replace them with better instruments later on if you start off with one. There are many good reasons to learn to play the clarinet. It’s a fairly easy instrument to learn to play; you don’t need extensive music lessons to be able to play this instrument. You can probably even teach yourself how to play this popular woodwind. If you want to play in the school band, orchestra, or at home for fun, this is a popular choice for many people, and may be right for you as well. 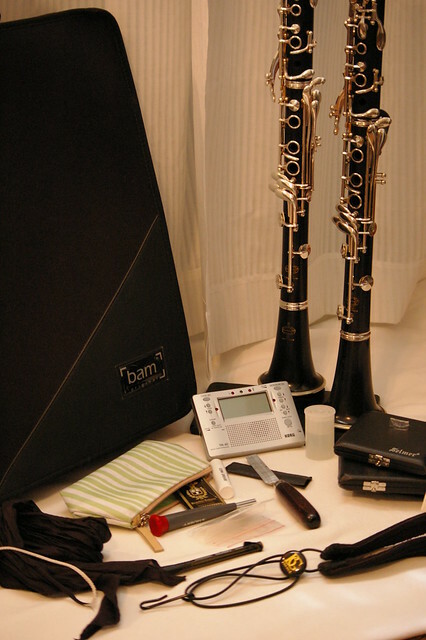 Brooke Lorren has written about finding an inexpensive student clarinet and finding easy clarinet sheet music.